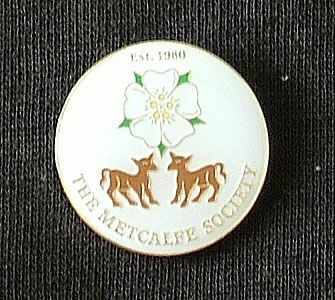 Gold plated, infilled lapel pin showing The Metcalfe Society's rose and 2 calves. 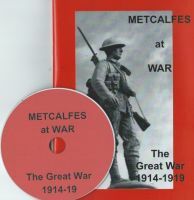 Lettering and image outlines in gold. 30mm x 1.0mm thick, die stamped iron soft enamel Lapel Pins. Mounted on butterfly clutch fitting. Apologies for poor quality of photograph.